Less than a dozen years after the first manned balloon flights, the first aerial observation of a battlefield contributed to the French victory at Fleurus in June 1794. Although a short-lived initiative, the operation displayed the value of viewing a battle from so lofty a perch and responding to inquiries from the ground in near-real-time. 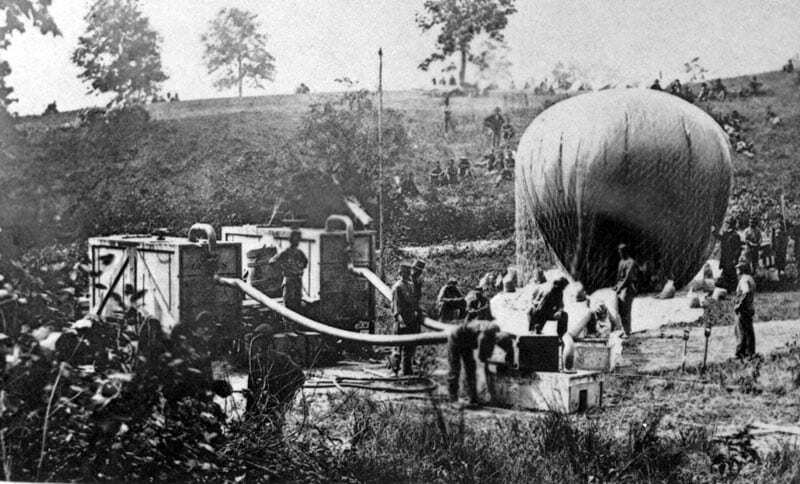 Thaddeus Lowe’s tethered aerial observation during the American Civil War supported Union operations for almost two years, but problems with personal finances and continuing bickering with rival balloonist John LaMountain eventually led to the Balloon Corps’ quite dissolution. Against the Boers in South Africa, British Army balloonist observations were reported immediately (often by megaphone). The Boers were no more successful in trying to shoot down balloons than Confederate gunners had been. Balloon and kite flying saw limited development, but the 1908 demonstration of the Wrights’ success in heavier-than-air flight to the U.S. Army and dozens of cheering crowds in Europe underscored the airplane’s potential for aerial reconnaissance to the military in several countries. 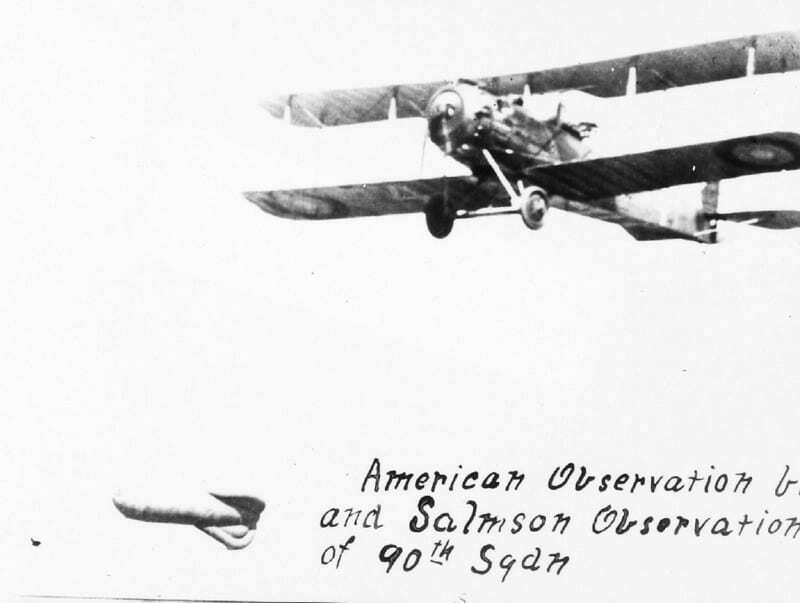 The year 1911 saw aerial reconnaissance (and bombing) in locales as diverse as Mexico (using a rented flying circus), Libya, and the Balkans. World War I saw the first widespread use of aircraft for both tactical and strategic reconnaissance. Indeed, the two levels could be said to have combined forces early when timely observation of German movements in September 1914 led first to the preservation of the British Expeditionary Force from extinction and later to the French victory at the Battle of the Marne. Stalemated by each other in their rush to an early decision, the two sides dug in. Fixed-wing aircraft added unprecedented altitude and mobility on every front. Under such conditions, airplanes replaced cavalry as the army’s eyes in the flying machine’s greatest contribution to the war effort. France produced most of the Allies’ nearly 4,000 tethered observation balloons, which soared from 1,200 to 1,800 feet and commanded a 15-mile view in good weather. The gasbag crew’s snooping and ability to correct the artillery’s aim led to aerial attacks against them as well as concentrated anti-aircraft support (“Archie”). Fixed-wing aircraft added unprecedented altitude and mobility on every front. Almost as soon as recce flights began, observers began taking pictures by leaning over the side with hand-held, short-focal-length cameras using glass-plate film. It was cold, often dangerous work at oxygen-thin altitudes. German designers in particular developed fast, high-flying maneuverable two-seaters for this mission. Some, like the Rumpler C series and Halberstadt’s C.V had trap doors in the floor for vertical photography, a feature also found on the Salmson 2 flown by French and American crews. British designed such as the BE 2 series and RE 8 fell far short of even adequacy. By 1918, German crews were snapping up to 4,000 photographs per day, four times as many as the British average; their audacity was bolstered by a prevailing Westerly wind that blew damaged aircraft back over friendly lines. As critical as taking the photography was processing it quickly and comprehensibly. This meant careful handling of the fragile glass plates and accomplishing a speedy handover once back on the ground. Good observers and pilots noted the time, altitude, and circumstances of each shot for the photo interpreter, whose worth grew explosively with demand. By 1918, for example, the U.S. Army printed 56,000 aerial photos in support of the Meuse-Argonne offensive in four days. After World War I American George Goddard pursued improvements that led to vibration damping, stereoscopic photo technique, infrared, color and night photography (the latter including development of photo-electric shutter release), and longer focal-length lenses, improved cameras taking sharper pictures. Perhaps Goddard’s most important breakthrough came in the 1930s with the strip camera. Instead of taking individual frames and stitching them together, the strip camera synchronized the roll film’s passage past a slit. Resistance to the technology, delayed its use for years, but strip-filming was the major Cold War aerial photo-reconnaissance method. Increasing tensions in the late 1930s prompted covert photo reconnaissance by both Germana and British pilots. German Lt. Col. Theodor Rowehl took pictures over Britain, France, and the Soviet Union from a Heinkel He 111. On the Allied side, the distinctly individual Sidney Cotton, an Australian who’d gained aerial reconnaissance expertise in Canada, cooperated with Britain’s MI6 in flying modified Lockheed 12 Electra aircraft over Italy and Germany under cover as a aeronautical product salesman. His aircraft had three main cameras, one for vertical, two for oblique photography arranged to produce 3-dimensional imagery when the photographs were overlapped. This arrangement or variations was used throughout World War II. Cotton’s special flight of modified Spitfires soon set the tone for Anglo-American photo reconnaissance. The most successful Allied photo reconnaissance aircraft were modified unarmed fighters or light bombers outfitted with several cameras that depended on waxed, smoothed surfaces, weight reduction, and tweaked engines to fly fast and very high over most of the continent. The best known of the British planes were several marks of the Spitfire, although PR veterans regarded the twin-engined Mosquito, which also served in considerable numbers, as more suitable. 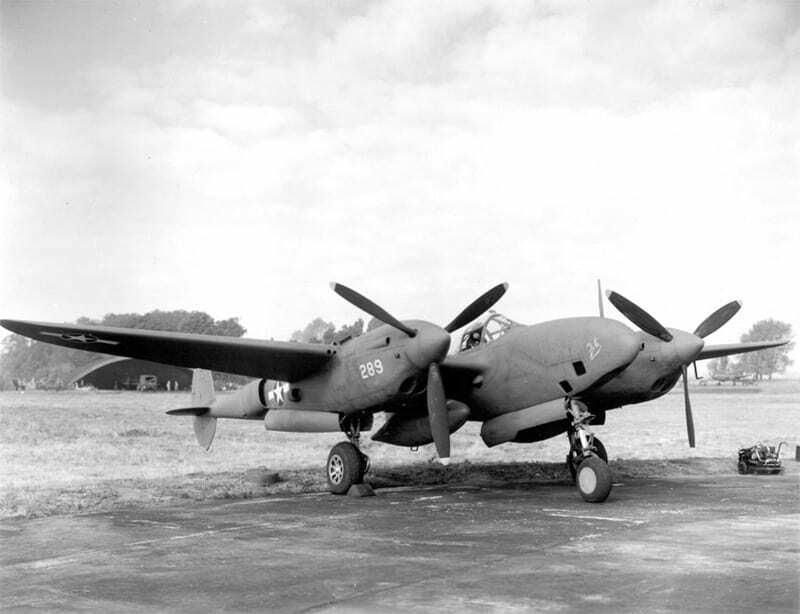 The best U.S. aircraft was the F-5 conversion of the P-38 Lightning, which was delivered in far greater numbers than any other reconnaissance design. U.S. Navy reconnaissance fliers made the first use of the continuous strip camera in 1944. Picture-snapping had little value without organized, centralized photo interpretation on the ground. In addition to their bomb damage assessment, photo interpreters on the ground. In addition to their bomb damage assessment, photo interpreters comparing pictures taken on the same target at intervals became adept at detecting differences that might mean troop movement in or out of an area; construction progress of a ship, factory, or military base; or alterations implying upgraded capabilities. Their efforts tracked German jet aircraft research, deployment of the first German radar, and the V-1 flying bomb. By the end of World War II, British and U.S. aerial reconnaissance was indispensable to both tactical and strategic planning.